I studied at one of the best high school in our country. It is not easy to pass the entrance exam, it had 3 screenings where the school filters the best of the best on every batch. The school itself wasn't my choice to study though, it was my brother who pushed me to pass the examinations and eventually the school became my alma mater. None from my grade school friends passed the examination, some managed to the 2nd screening but I was the only survivor. It was sad, I never had a motivation to go on. I don't know what I was supposed to do back then yet my brother told me to just move forward until I find what I really want to do with my high school life. 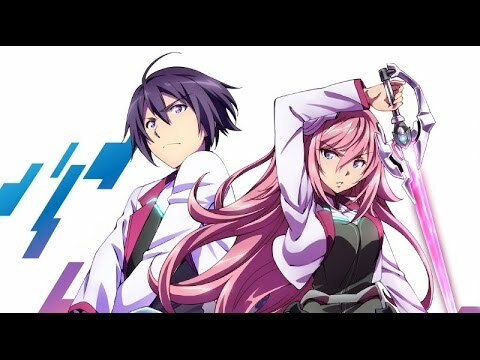 The Asterisk War: The Academy City on the Water leaves a strong message not only to its original light novel readers but also to the manga reader and those who've watched the anime adaptation as well that we should and will always find a reason to act. The first season wasn't settled though. And it is not just me wishing for a second season, I do hope that there will be an announcement about this very soon. Materials from the light novel is never a problem, the original story is so far ahead from the anime.